Tinnitus, most common known as ringing in the ears, affects one in every five people, often occurring in conjunction with hearing loss and aging. Researchers from Wright State University in Fairborn, Ohio, used functional magnetic resonance imaging (fMRI) neurofeedback training to teach primary auditory cortex (A1) self-regulation. Participants in their study experienced decreases in brain activity in response to white noise. The study was conducted to determine the potential efficacy of treating auditory cortex hyperactivity by self-regulation of the A1 based on real-time fMRI neurofeedback training. Scientific session presenter Matthew S. Sherwood, PhD, a research engineer in the Department of Biomedical, Industrial and Human Factors Engineering, said that he and his research colleagues based their research on the fact that individuals with tinnitus have an over-attention drawn to the auditory cortex, making it more active than the cortex of an individual without the condition. 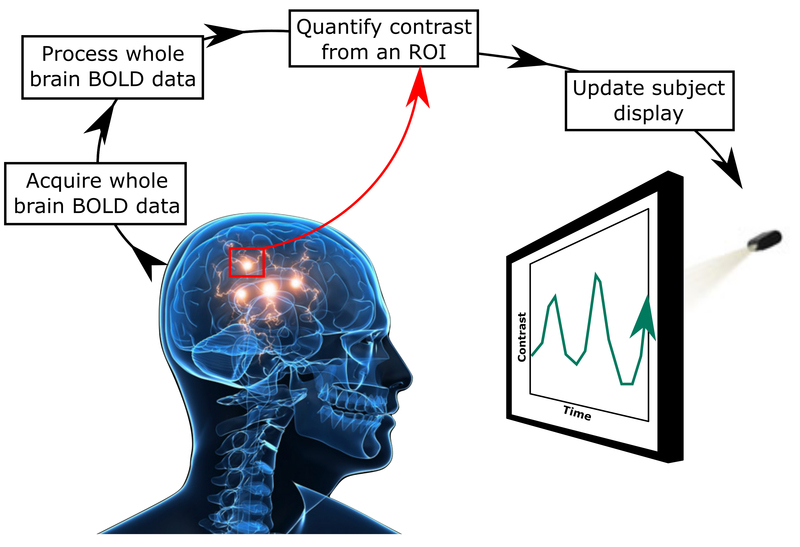 The standard approach to fMRI neurofeedback. 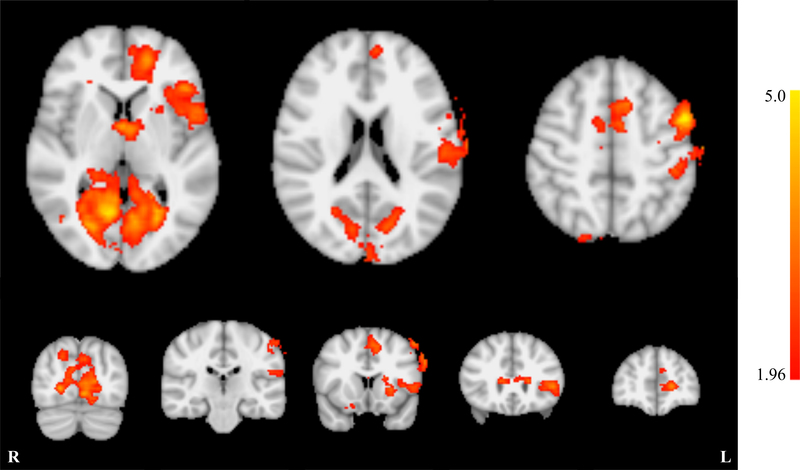 fMRI data was acquired using 2D, single-shot echoplanar imaging during three runs using a 3T MRI system. The auditory fMRI was comprised of six blocks, each containing a 20 second period of no auditory simulation followed by a 20 second period of white noise simulation at 90 dB. A1 activity was continuously updated during fMRI neurofeedback training using a simple bar blot, and was accompanied by white nose simulation for the duration of the scan. Whole brain effects of neurofeedback training. A control group of nine individuals were provided sham neurofeedback from a random participant. By performing the exact same procedures with both groups using either real or sham neurofeedback, the researchers were able to distinguish the effect of real neurofeedback on control of the primary auditory cortex. Dr. Sherwood state that this research represents the first time fMRI-neurofeedback training has been applied to demonstrate that there is a significant relationship between control of the primary auditory cortex and attentional processes. He said that this study’s findings are important to therapeutic development, Sherwood said, as the neural mechanisms of tinnitus are unknown but likely related to attention. The results represent a promising avenue of research that could lead to improvements in other areas of health like pain management, according to Dr. Sherwood. "Ultimately, we'd like take what we learned from MRI and develop a neurofeedback program that doesn't require MRI to use, such as an app or home-based therapy that could apply to tinnitus and other conditions," he said. This research project was sponsored with a grant from the U.S. Air Force. RSNA 2017: fMRI and neurofeedback: A potential promising treatment for tinnitus. Appl Radiol.